Stevie Nicks prefers writing a song over meeting a handsome prince. Quotes from the red carpet at last nights Song Writers Hall of Fame Induction Ceremony in New York City. "People ask what is your favorite thing to do in a night? Be in a fantastic studio with a great poem and a piano and a little tape recorder. That is my idea of a great time," Nicks said. 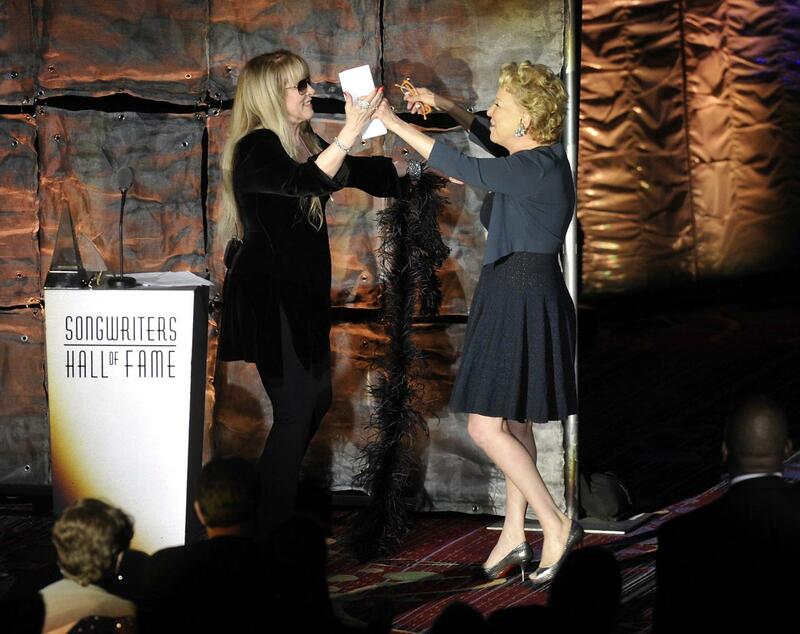 Stevie added that she chose that song because of Midler’s movie of the same name. “I thought that [she] did such an amazing job when she did that movie,” said Stevie. 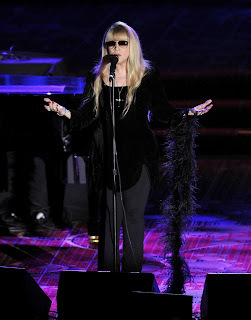 Stevie also told reporters that Fleetwood Mac will tour in 2013 and will begin rehearsals in January. Such exciting news! I hope it will be a world tour. If not, I guess it's an excuse for an overseas holiday just to see Fleetwood Mac live. ANOTHER tour??? ugh...do an album. It's been 10 years since SYW came out. Nobody wants to shell out another $150 to see FM tour with the same tired set list. Speak for yourself. Tha Mac is getting older and any chance to see them perform is great!! ANY excuse to see them is a great one!! Please come to Melbourne, Fleetwood Mac!! A new album would be good too - who knows what could happen after the tour..
RE: "ANOTHER tour??? ugh.." Don't come if you don't want to have fun! I second everything cozy nester has written. Great times ahead! Put on your dancing shoes. Wohooo I can't wait, hope they put on a new album for the tour, and film the tour for a dvd release!!! I agree with the poster who's sort of exasperated with the band. Stevie and Lindsey both hit career highs with their respective solo albums last year, so they've both still very much "got it." Why can't they apply this energy and creativity to the group???? I absolutely loved the songs on IYD and SWS. I can't bear to hear RHIANNON and GO YOUR OWN WAY again for the 10 millionth time with less energy and in a lower key!!! Ugh! Don't get me wrong - as a lifelong fan, I love FM dearly. That's why I don't want them reduced to just another nostalgia act, albeit an A-list nostalgia act. Woohooo! I Can't wait! Love them! Stevie Nicks is still as magical and beautiful as she ever was! I would love to see them! NEW ALBUM IN FALL OF 2014!!!! I'd pay to see them again but I won't be buying a ticket until I know there's gonna be a major change in the set list from the last two tours. And call Christine, again, godammit! PLEASE MICK, ple--or maybe Stevie should call! Don't care what they play, just tour!! YAY, I can't wait. Any tour from FM is a good tour and a great time. If you don't want to shell out $150 for a ticket, then don't do it. Shell out $59 and "hear" a great show!! No matter which it's a great show! I have tickets for SN and Rod Stewart for Aug...again.. CAN'T WAIT!!!!! Dont forget, there is always the FAREWELL TOUR to milk! I mean as much as I love the MAC and I DO love the Mac. another Greatest Hits Tour? I mean if there is no new Mac Music and no return of Christine McVie WHY? Well other then Mick needs the money?? Besides, I have given up hope they would come to OR. At least Lindsey did,... and a wonderful show I hear.. I understand WHY they tour...Stevie and Lindsey command $500,000 a night. Not sure what Mick and John make - probably substantially less. I get that. Just add some new stuff to the set list PLEASE. Bring in "Seven Wonders," "Sisters of the Moon," and something more obscure. In tours past, "Sisters of the Moon" was just as crazy and mindblowing as "Go Your Own Way." PLUS, it would give Stevie a reason to dress as witchy as she could now. 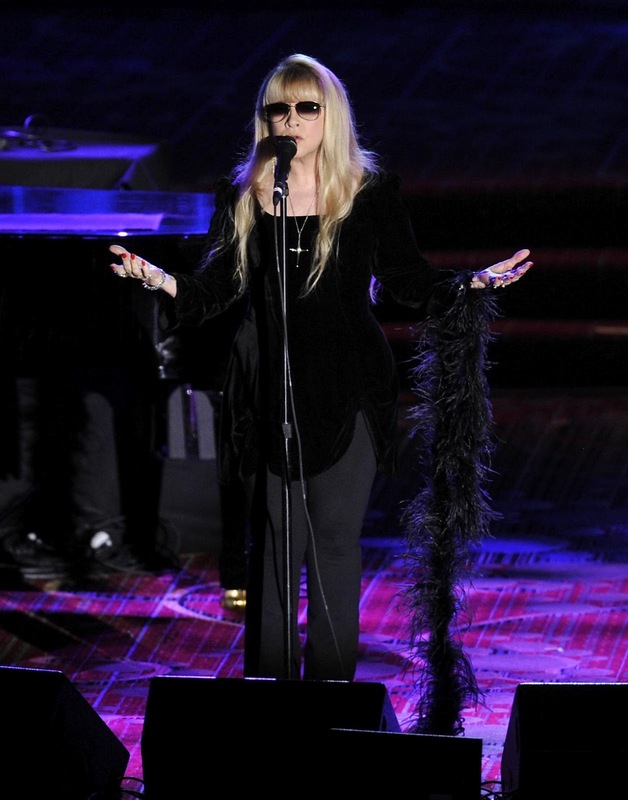 Picture it: Stevie in a long black floor length dress with a great old shawl we haven't seen in years. Its too early to get super excited about this news. It could be just greatest hits, or it could include a three song mini set with Stevie and Lindsay doing Buckingham Nicks selections. we will have to wait and see. In the meantime, they are both touring this summer! BRING ON THE MAC, ANY SONGS, ANY LINE UP, ANYWHERE IN THE WORLD! THE GYPSY'S THAT REMAIN WILL BE THERE! When I said "three months off" I meant for VACATION! NOT for recording. I'm of mixed minds here. I have loved every Fleetwood Mac tour I've been to and I would love to see them one last time. Stevie might go on and do another solo record and tour, but I feel this would be Mac's last outing. That being said, I agree that the same setlists have got to go. Stevie proved on the IYD tour that audiences can and often do respond well to mostly new songs. Stevie and Lindsey just released solo records last year, so I'm sure there's a wealth of newer material that was recorded but not finished because the songs did not fit at the time. If there's not going to be a new album then the band really needs to energize ... Stop playing the same songs. Add in some stuff we haven't heard in YEARS, like "Sisters of the Moon," "Seven Wonders," "Tang In The Night," "Storms," and maybe, just maybe Christine McVie will join for a least one leg of the tour. I was also thinking that perhaps the passing of Bob Welch spurred them to all get past their differences and decide to work together again.